OSWEGO — The Oswego County Historical Society will host the third lecture of the season on June 9 at 1:30 p.m. at the Richardson-Bates House Museum at 135 E. Third St. The Oswego County Historical Society will host its third lecture of the 2013 series on June 9 at the Richardson-Bates House Museum. 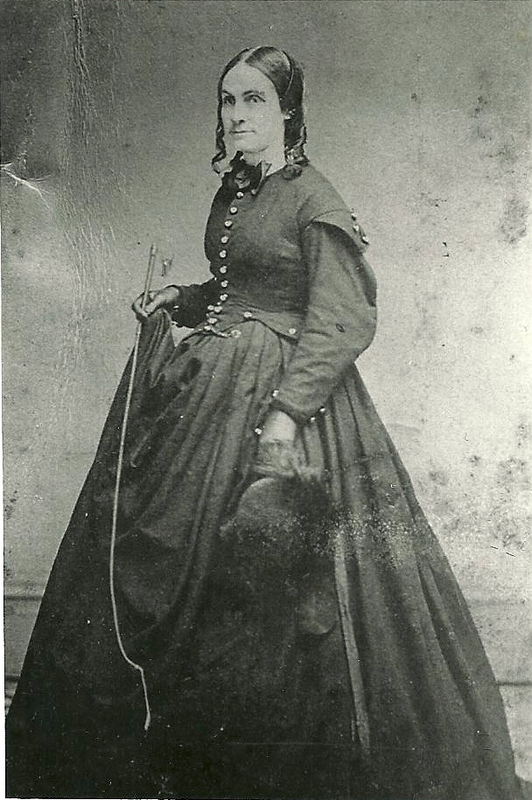 Joyce Cook will present a program entitled “Oswego’s Noble and Patriotic Army Nurse – Elmina Spencer.” Elmina Spencer is seen in a photo taken in Oswego circa 1865. (Photograph Courtesy of the Oswego County Historical Society). Cook is a retired librarian and past director of the Fulton Public Library. She is currently writing a book on Elmina Spencer in commemoration of the 150th anniversary of the Civil War. Born Elmina Keeler in Mexico, NY, in 1819, she moved with her family to Oswego at a young age and resided there most of her life. As a young woman she was a school teacher and in 1840 married Robert Spencer, a former sailor, teacher and merchant. In 1862 Robert enlisted in the Civil War, even though he was well past draft age and restricted from action. He served as the ward master for the 147th New York Infantry regimental hospital. She was remembered with affection by veterans for her dedication to nursing the sick and wounded during the war. In 1864 Elmina was injured herself after the explosion of an ammunition barge, suffering temporary paralysis, but continued working until the end of the war. Following the war, the Spencers went to Kansas as part of the homestead movement. During her time there, Elmina wrote letters to a local newspaper with accounts of war experiences. After the death of her husband, she returned to Oswego where she lived until her death at the age of 93. A memorial bust of Elmina Spencer is carved in the wall of the Great Western staircase of the New York State Capitol in Albany. This memorial represents the many women nurses who volunteered their services during the war. Elmina is buried in the Oswego Rural Cemetery. 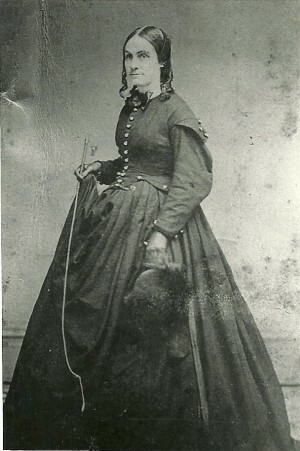 Cook came across a number of references to Elmina while editing her publication on the Civil War letters and diary of Lieutenant Lansing Bristol, also of the 147th New York Infantry. Intrigued by her legacy, Cook endeavored to do more research and decided to write a comprehensive biography. She will outline the extraordinary story of the Spencers and use Elmina’s own words in her presentation. Photographs and other documents will be on display. The Oswego County Historical Society is a non-profit organization dedicated to the preservation and promotion of the rich history of the county. The society maintains and operates the Richardson-Bates House Museum, a historic landmark listed on the National Register of Historic Places. For more information visit the museum website at www.rbhousemuseum.org for regular updates or call during regular hours at 343-1342.